This short tour is suitable for good-vibe crafty weekend getaway from the city or travelers who have little time but wishes to experience Thailand like never before. Learn cotton-weaving from the ground up. Literally! 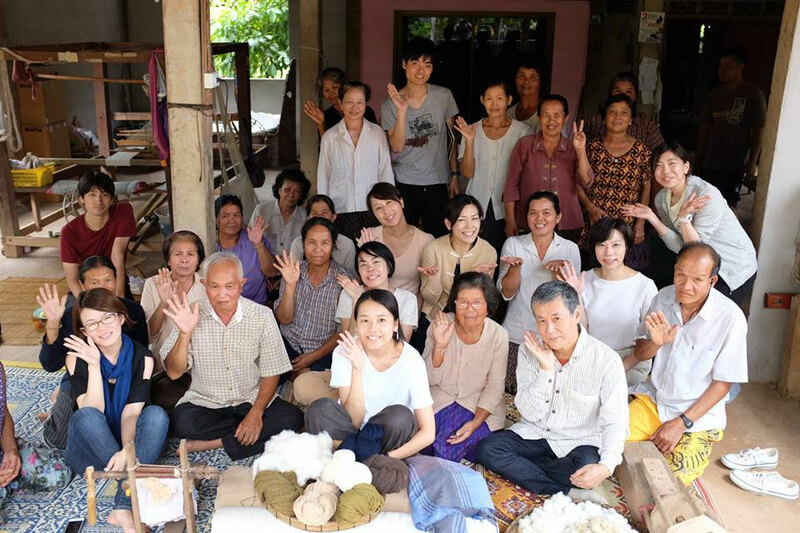 See and try for yourself the process from cotton farm to textile as you will visit Folkcharm’s producing partner 600 kilometers from Bangkok to see and try out the entire hand-process of natural chemical-free cotton farming, weaving and botanical dyeing. 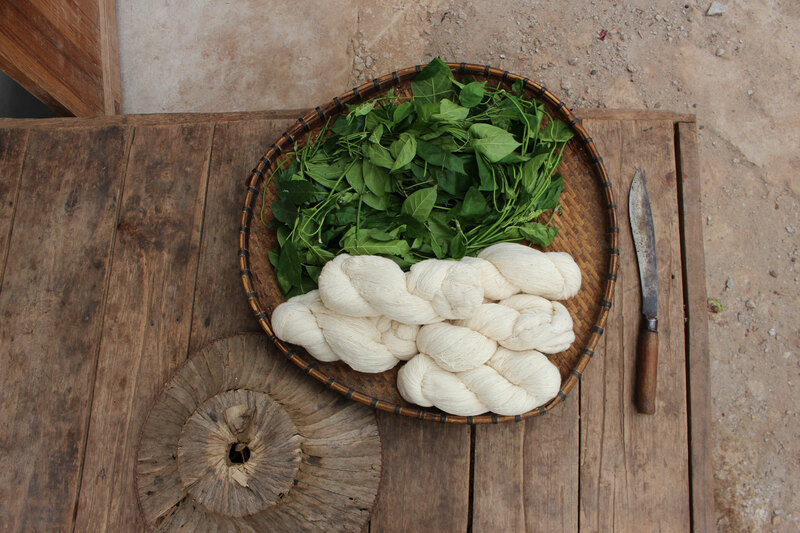 You will get to taste fresh flavors of unique local cuisines cooked from 100% locally sourced organic herbs, home raised chickens and fish (vegetarian meals available, of course). 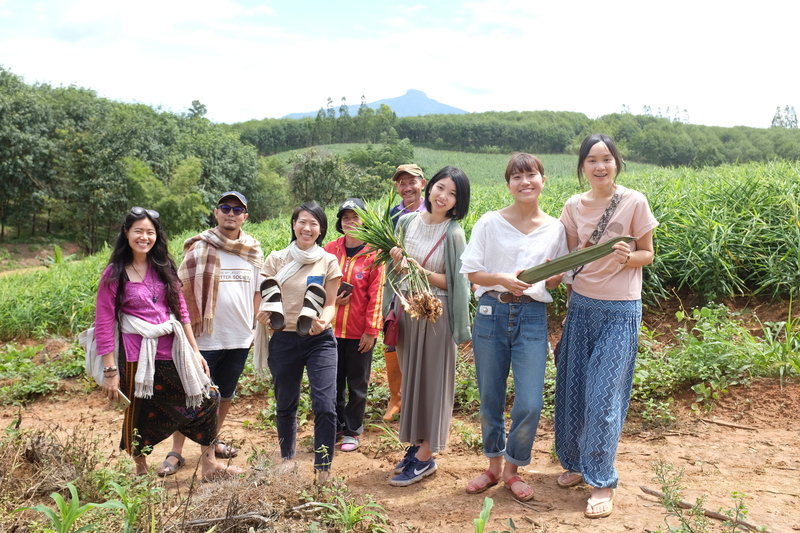 And experience the local farmer life, travelling on the unique-to-region locally designed motored buckboard to savour the mountain top view of Loei’s sea of mountains. Spend the nights in Thai-Loei simple huts in Phluang Center of Nature Conservation and Sustainable Agriculture. And, incase you are not aware, Loei Province’s nights are chilled all year round! 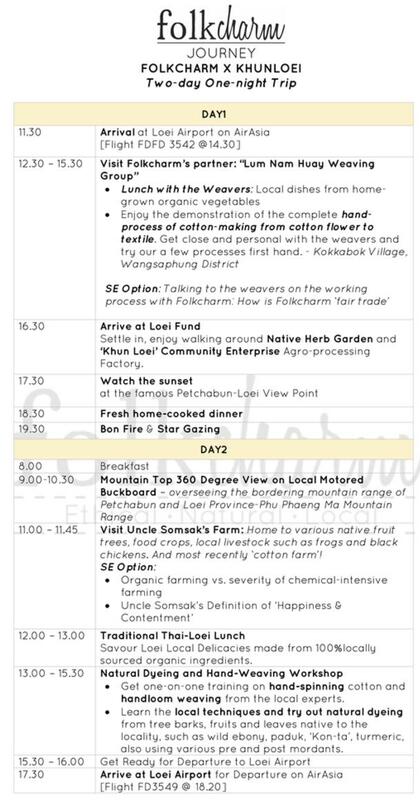 Below is the standard itinerary. 1st Stop: Understand various of Thai hand-weaving techniques from Ajarn Jame (or Teacher James), a college lecturer turned hand-weaving expert who isolated himself from the busy city life over ten years ago to build a simple yet incredible hut away from people on the hills of Nonpattana Village. The multi-talented Ajarn James is also an endorsed Bhram Master of Ceremony, a writer, a historian, a farmer and an antique collector whose home is practically a living museum! 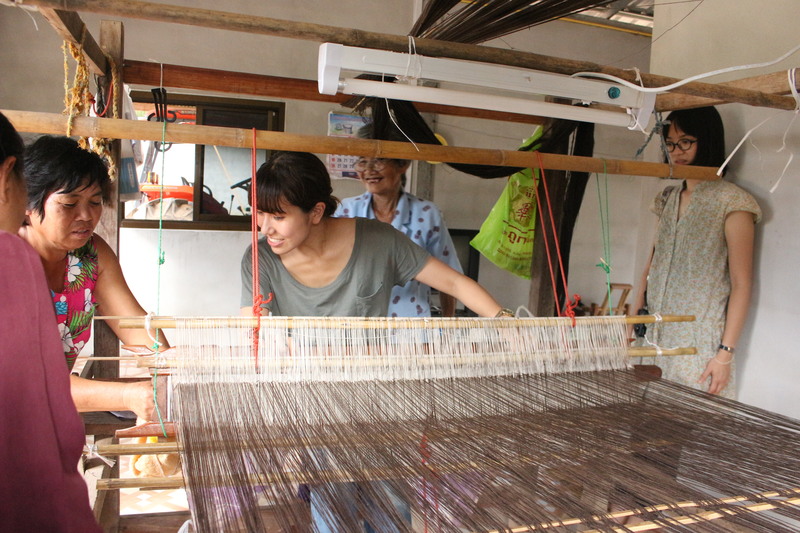 His obsession with weaving led him to reviving many traditional techniques and patterns of weaving of Loei Province and the Esarn region. 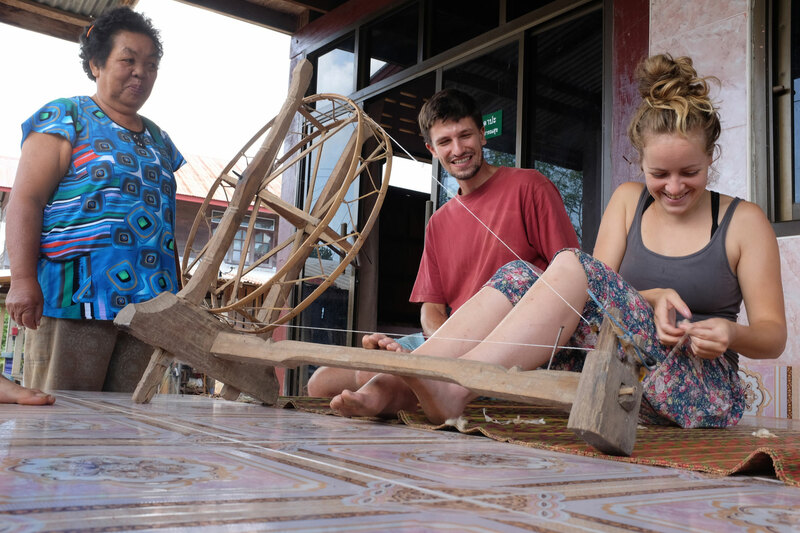 2nd Stop: Bamboo weaving: the living local craft of Thailand’s Northeast. As women of the Northeast are taught cotton-weaving at young age, the men are taught bamboo weaving craft to make tools, homewares and every other items necessary for day to day living. Learn the basics from the expert, Taa Tua (Uncle Tua), starting with basic single-weave and double-weave techniques to craft your own fan. Uncle Tua is also an organic farmer, a licensed local herb doctor, a blacksmith and a barber! Visit his home to find out how everything above fits under one roof! 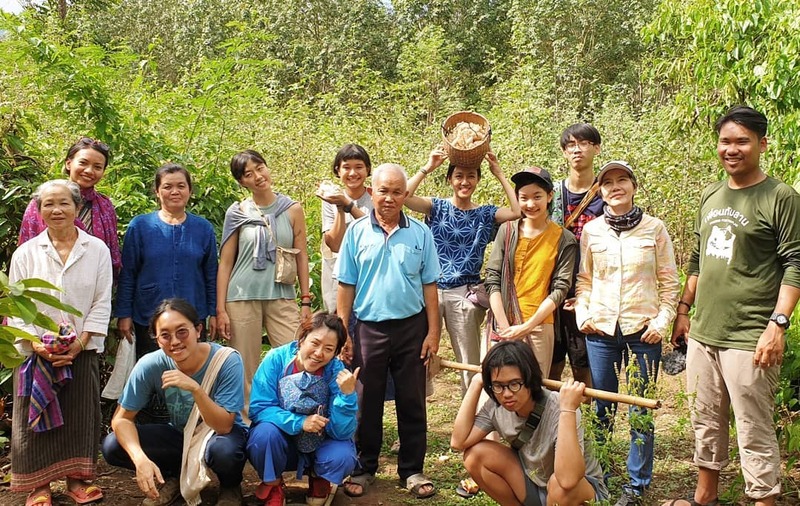 OR, to keep things more relaxed, you can also have an option of enjoying other local seasonal activities in organic farming, wild food hunting, river fishing, cotton picking, herbal soap making. Whatever suits your preference (to be available soon)!